Most of us started off riding a hardtail of some sort. Be it the BMX of our youth or the “10 speed” road bike we used to commute to class in college, we’ve ridden them and we are familiar with them but many of us have given them up in favor of a full suspension mountain bike. I had forgotten how much fun they can be when ridden in terrain usually considered the home turf of larger travel full squish bikes. 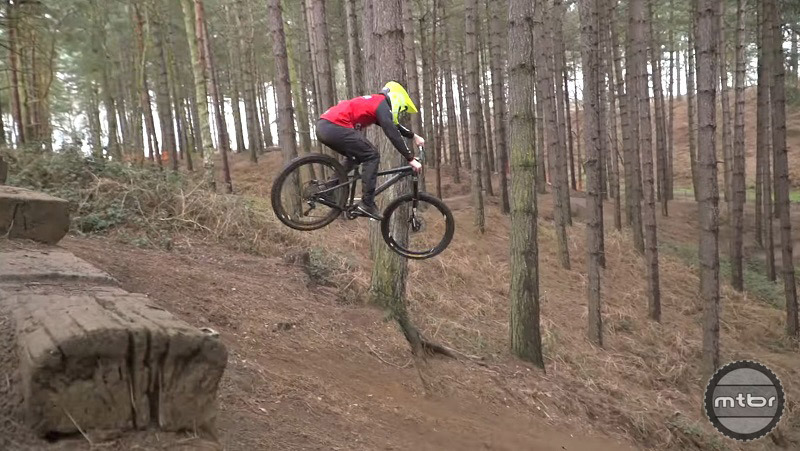 Blake Samson sends it on moderate sized bike park jumps and drops. This past weekend I was lucky enough to join in on a women’s group ride that included numerous shuttles up the mountain to ride some pretty gnarly rocky trails. After our 4th run, I decided to let one of the women ride my Evil “The Calling” (131mm rear/150mm front) to get a feel for how a full suspension bike feels. In trade, I got to ride her entry-level old school hardtail with 1.9mm XC tires. I promptly locked the fork to reduce travel in an effort to avoid fork dive on the steep sections and awkward rocky drops. As everyone started down the mountain I assumed I would wind up wadded up against a tree at the bottom of the canyon or best case walking the bike down the rough sections while inspecting the frame for cracks. Adjust your riding for the terrain at hand and there is precious little a hardtail can’t handle. Simply put, I didn’t expect to have any fun on this run and worst case I was going to crash. How wrong I was. I had an absolute blast! Despite the bike being too small for me and being equipped with a barely functioning fork and flimsy 29” wheels shod with what looked like semi-slicks with no side knobs, the bike handled everything I threw at it. I started following jib lines my buddy was riding on his 160mm travel full squish bike and I found myself hooting and giggling like an idiot. Sure the ride was rough and I had to be choosier with my line choice but I still had fun and that’s ultimately why we ride bikes. I ended the ride with a new respect for her old bike and hardtails in general. I spent the shuttle ride back up the mountain thinking about today’s crop of aggressive long travel hardtails and what I might be missing out on. With modern geometry and a wide array of quality components to choose from, the long(er) travel hardtail is becoming a popular choice for “All Mountain” trails that are usually the realm of full suspension bikes. 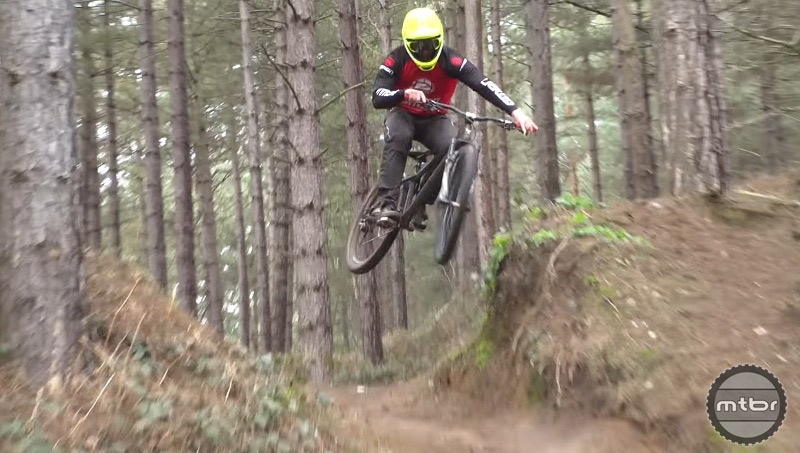 Ride along with Global Mountain Bike Network’s Blake Samson as he shows you just how hard a hardtail can be ridden. 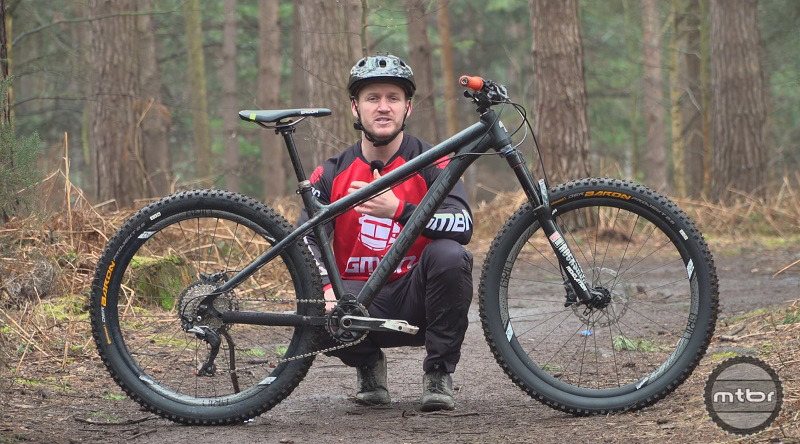 Blake’s Nukeproof Scout Comp. A do-it-all hardtail sporting 140mm of travel on an alloy frame with a 65deg head angle and beefy 27.5” wheels with 29mm inner width. Through the 90’s I grew up riding hardtails in eastern Pennsylvania when full suspension bikes were prohibitively expensive for a teenager, and currently ride in the Mid-Atlantic states where 8 times out of 10 times the ride is plenty comfortable on a hardtail if you know how to use your knees. I have 2 beautiful hardtail frames, one steel and one titanium, both of which are sourced from smaller, low-production-number frame builders. 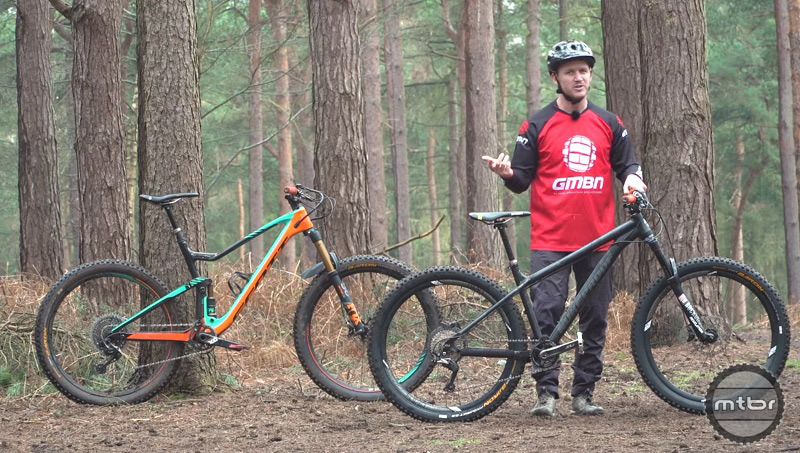 The proliferation of full suspension bikes to the market has made people think that you simply can’t ride a trail anymore unless your bike feels like a mattress. I prefer a hardtail because a) if you pick a full-sus and then buy a hardtail for the same money you generally get a higher quality package, and b) I enjoy feeling the trail! I realize my hardtails have limitations, usually when I find myself riding above them, but far more often than not I’m comfortable, in control, fast, and not having to worry about lubing my pivot points after the ride! same here bought a Rocky Vertex and dumped mt scott full sus, its such a good HT I just had too.